1: The prophetic call and the fear of rejection: Moses tried to convince God that he didn’t speak well enough, and Jeremiah complained to God that he was too young. The prophets trembled at the trials ahead of them – and with good reason. Israel had a long history of rejecting prophets (2 Chr 36:16; Jer 2:30; Amos 2:12; Matt 23:37; Luke 13:34; I Thes 2:15; Heb 11:32ff.). Jeremiah was threatened with death several times, thrown into an empty, muddy cistern, imprisoned, dragged off to exile in Egypt, and, perhaps, most painful of all, was forced to watch the destruction of Jerusalem because its inhabitants would not listen to his message. At least twice in his lifetime, the prophet Elijah spoke the truth of God to King Ahab of Israel concerning the King’s promotion of idolatry. As a result, Elijah was forced to flee into the wilderness where he suffered great privation (I Kgs 16:29–17:3 and I Kgs 18:16–19:4). John Quincy Adams, the sixth President of the United States and the son of a former President, reportedly said that he would rather clean filth from the streets than be President. 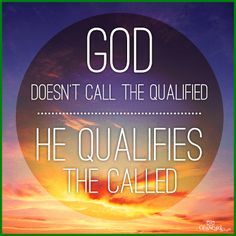 Scripture tells us that most of the prophets shared John Quincy Adams’ feeling of inadequacy to their calling. Today’s Gospel story is another example of why the prophets did not jump for joy at their career prospects. In the space of five verses, we see the people of Nazareth turn from amazement to such fury at Jesus’ words they seized Him and dragged him off to the cliff to murder him. Speaking God’s truth by word or by deed is a risky business even today. Hundreds of missionaries have been martyred since 1990. Thousands of Christians have been killed this past year in Moslem countries and Communist countries. Christians are subjected to the white martyrdom of mental torture in advanced countries, including the U.S., by the agnostic and atheistic media and liberal politicians and judges, as forms of the media constantly ridicule and insult Christians with unprecedented vengeance. 1) “We hold it to be self-evident, that all people are created equal.” Martin Luther King, Jr. had a dream that one day, on the red hills of Georgia, the sons of former slaves and the sons of former slave owners would be able to sit down together at the table of brotherhood. He had a dream that one day his four children would not be judged by the color of their skin but by the content of their character. With this Faith, he believed people could turn the mountain of despair into the mountain of hope, and transform the jangling discords of our nation into a beautiful symphony. Americans are better people because Martin Luther King, Jr. had a dream. In his preaching for liberation he did not say anything new. His message was 2000 years old — as old as Jesus’ synagogue speech at Nazareth. He said, “We hold it to be self-evident, that all people are created equal.” Dr. King looked out and saw people who were not treated as equals. He perceived others for whom this truth was not self-evident. So he went from city to city and said, “Today is the day when we will take seriously our own Declaration of Independence.” Gunshots rang out and cut him down. Why? What radical act did he commit which took his life? In the tradition of the Bible’s prophets, he reminded people of what they already knew and said, “Today is the day.” He drew inspiration from the message of total liberation preached by Jesus in his inaugural address at Nazareth and met with the same fate as Jesus did. The theology of liberation, when courageously preached can be costly, costing one his very life itself.